Gov. 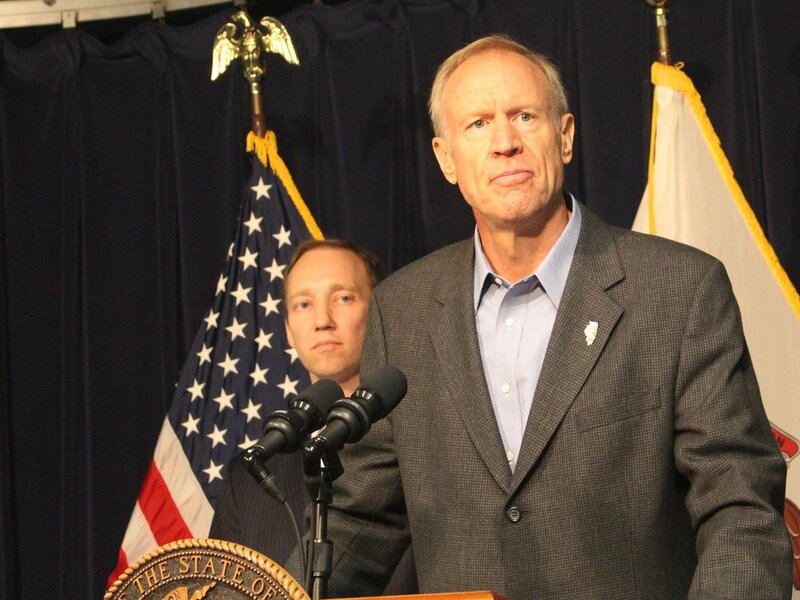 Bruce Rauner announced a comprehensive infrastructure plan Tuesday that will address long-term projects through 2024. “Investing in transportation creates jobs and economic opportunity, improves safety and makes Illinois a better place to raise a family,” he said in a statement. Nearly 70 percent of the $11 billion package is allocated for improving the state highway system. The greatest expenditures will be split between roadway maintenance ($2.6 billion) and bridges ($2.5 billion). Overall, the state proposes to reconstruct or rehabilitate nearly 2,000 miles of state-maintained roads and replace or strengthen nearly 9 million square feet of bridge deck area. The majority of funding (82 percent, or $9 billion) is expected to come from the federal Fixing America’s Surface Transportation (FAST) Act, which promises about $1.5 billion a year for highways and bridges. The state anticipates its share, or $1.3 billion, could come from state motor-fuel taxes and motor-vehicle registration fees. To date the state has $2.2 billion in federal, state, and local funds allocated for infrastructure in the upcoming fiscal year that starts July 1. The infrastructure investment doesn't come a moment too soon. According to a new report issued last month by the Illinois Economic Policy Institute, "Forecasting Bumpy Roads Ahead," the state needs to budget an additional $10 billion through 2023 "to bring all road miles into an acceptable condition and repair all backlog bridges." According to the report, the state's failure to pass a major capital spending bill over the last decade has led the amount of "backlog" Illinois roads, requiring immediate attention, to almost double, from 1,700 miles in 2000 to 3,300 miles in 2015. The percentage of Illinois Department of Transportation roads considered in "poor" condition has gone from 8 percent in 2001 to 20 percent now. The institute suggested the state will need $41 billion in additional infrastructure spending over the next 10 years. It called the motor-fuel tax an "unsustainable" source of revenue and pointed out that more efficient cars have led the money collected from the tax to actually drop from $1.8 billion in 1999 to $1.3 billion in 2015. Maintaining infrastructure has proved to be a persistent problem in Illinois. “The number of roads and bridges that fall into poor condition is projected to decrease over the long term as the percentage of preservation work increases,” according to the Illinois Department of Transportation report. “The reality is we’ve got to invest in our assets on a smart basis, on an ongoing basis to make sure they're well maintained. And, that actually saves money in the long run and we get longer effective lives out of our roads and bridges,” he said. Rauner said he was open to using debt to help finance the infrastructure and was open to gaming as a potential revenue source. He said he was against asking for a fuel-tax increase, or other tax hikes. Some of the major projects cited in the proposal include the $26 million reconstruction of the U.S. 20/Rockford Bypass in Rockford and $36 million to replace and repair the Third Street exit and ramps to Martin Luther King Drive in East St. Louis. The project is expected to begin next year.